Graphic organizers help children to organize their thoughts on paper before completing a task. Traditionally, you will see graphic organizers used in language arts, reading, science, and social studies to help organize thoughts, ideas, or the order of events or a process. Graphic organizers for math can also be a great tool for the same reasons. In this series, you will learn how you can utilize graphic organizers at home for math practice and be able to access additional examples of the process. Here is a link to three different Venn diagram templates or you could also use an app like Popplet to create Venn diagrams. Venn diagrams are used to compare and contrast two or more topics. Similar items are placed into the areas where the circles overlap. Dissimilar items are located in parts of the circle that do not overlap. Examples for math Venn diagrams include comparing and contrasting operations like addition and subtraction, the lines and sides of different shapes, or multiples. Venn Diagrams are also used when learning about sets, unions, intersections, and differences. Math is Fun has a great example of how you can practice these math skills by using Venn diagrams. A set is a group of information, unions can be in any set, intersections are where they overlap within a set, and differences are where they don’t overlap within the set. Instead of creating Venn diagrams with paper, you can also try using yarn or hula hoops. 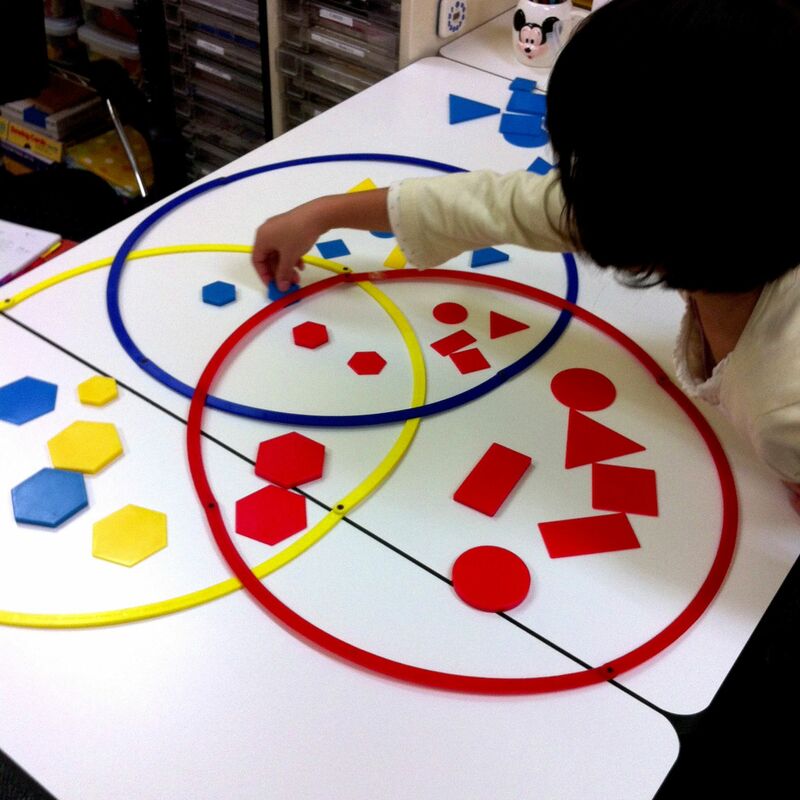 This tactile approach to learning can be used to create the overlapping circles. Then you can use printed problems and numbers or even items that kids can classify like small toys. Here is an example with toys and yarn and here is an example using hoops. How do you utilize Venn diagrams at home when learning and practicing math concepts?